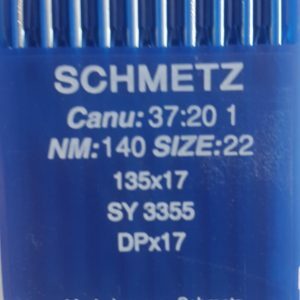 Excellent quality German needles by a name you can trust. 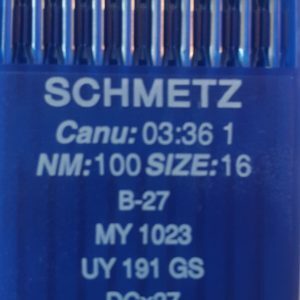 Schmetz system R = Ball point. 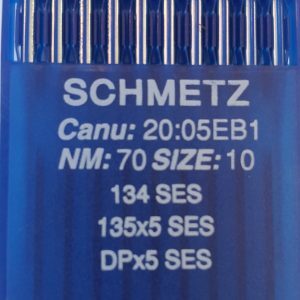 Needles are sold in qty’s of packs of 10 or box of 100. 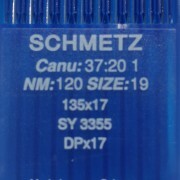 Ball Point (BP) needles are designed to alleviate making holes in materials. The cross fibres which constitute woven materials. When a needle with a standard “sharp” point encounters one of those fibres in penetrating the fabric, it cuts right through the fibre. This creates a hole in the fabric. The Ball Point needle pushes aside the fibre it encounters in penetration and thereby avoids making a damaging hole in the fabric. Needle system: 135×17 Ball point needle. There is no such thing as a cheap needle. 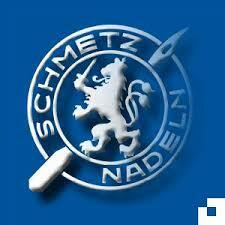 That’s exactly what they are – cheap !They are just inferior quality. 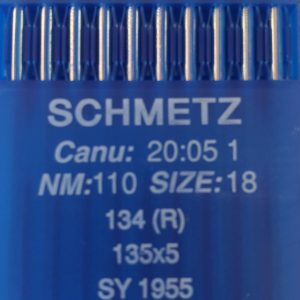 The needle is the first point of contact between your machine and your product, so never compromise on quality-when you choose the needle for your job. 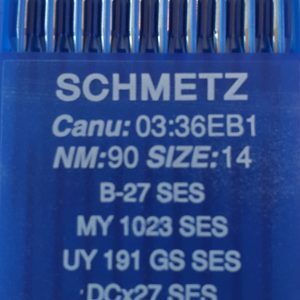 WE only use, Distribute & Recommend SCHMETZ Needles. 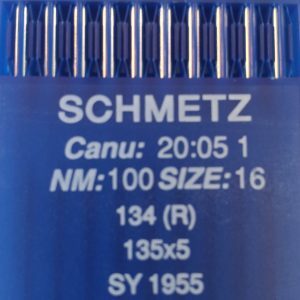 These needles are suitable for most industrial WALKING FOOT machines. 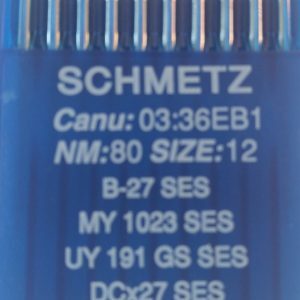 Schmetz system SES = Light ball point. Also Singer Classification Number 1955. 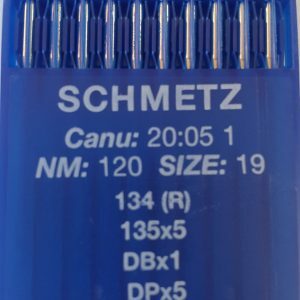 Ball Point (BP) needles are designed to alleviate making holes in materials. The cross fibers which constitute woven materials. When a needle with a standard “sharp” point encounters one of those fibers in penetrating the fabric, it cuts right through the fiber. This creates a hole in the fabric. 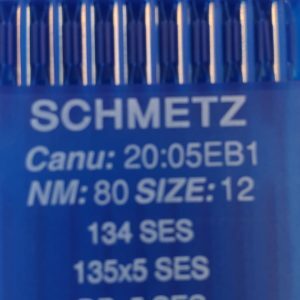 The Ball Point needle pushes aside the fiber it encounters in penetration and thereby avoids making a damaging hole in the fabric. This needle is for use on Leather / PVC / all man made material’s that are not woven. Schmetz system RTW = Reverse Twist Point. 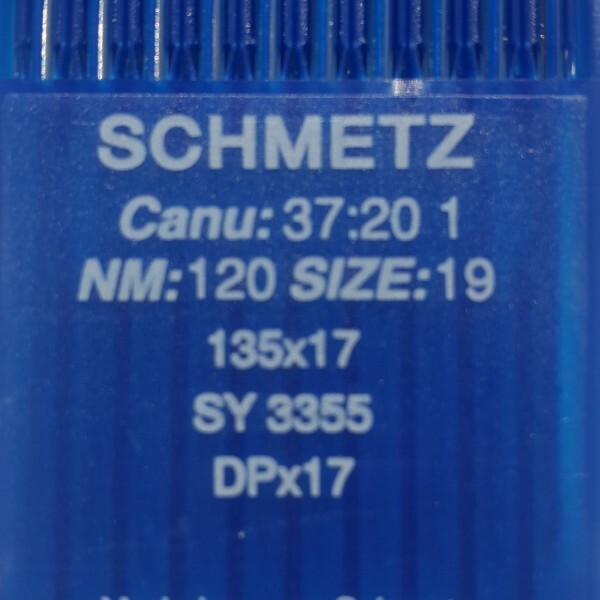 These high quality leather needles by Schmetz are optimised for heavy, dry and hard leather. The blade cuts fibres so that the needle does not have to separate them. This makes them ideal for all types of leather and best for decorative seams. The RTW can be used for the manufacture of leather footwear through to bags. 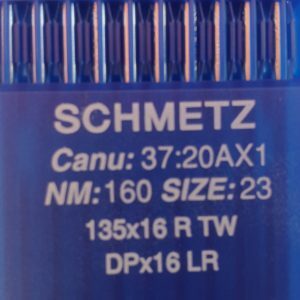 Used on most walking foot sewing machines that take the 135X17 needle system.